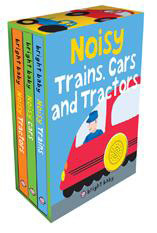 This autumn ReadingZone reviews each month's top new titles for babies, toddlers and 3-5yr olds. All the classic nursery rhymes that we remember from our own childhoods are beautifully presented in this book which makes a wonderful gift for young children as well as babies. Indeed, an early introduction to verse is one of the greatest gifts you can give to a very young child as they start to develop their own language skills. But nursery rhymes are also fun – and these illustrations remind us of that. The other joy of nursery rhymes is how interactive many are – tickle toes along to ‘This Little Piggy’ and cuddle up to ‘Five Little Ducks’. 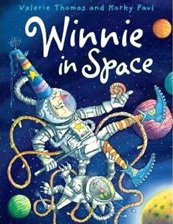 After looking at the stars and moon one night, Winnie decides she wants to explore space and, with a whoosh of her wand, makes a rocket. With another wave of her wand, she’s off. It’s quite trip and, after avoiding satellites and shooting starts, she and her long-suffering cat Wilbur find a planet that is perfect for their picnic – or so Winnie thinks. Wilbur is not so sure and soon enough, he’s proved right as hundreds of space rabbits come to join them. Instead of eating the picnic, though, they tuck into the spaceship! How on Earth will Winnie and Wilbur get home? 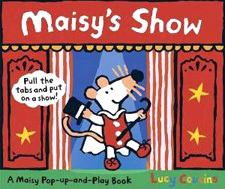 A fun story that rewards exploration – the detail in the drawings is staggering and full of humour. Children will love the cheeky space robots – and look out for the extra little rascal they bring home with them.